Discussion in 'General Equipment Chat & Advice' started by Elliejones, Mar 13, 2019. I'm after a mirrorless camera, after much debating I've decided that its gonna have to be full frame, due to I find FF works better for me. I've looked at several mirrorless that other club members got, and whittle down my choice to 2 camera's. And a reasonable frame rate. Not included video capabilities as I'm not into video at all, a feature thats been on all my camera's and the only time used, is when I've accidentally flicked the switch over. Problem is, I've always used Canon, and now got various L class lenses, and Sigma Art Lenses, I know that these will fit both camera's via an adaptor, but with the Sony you can get or should I say lose some of the face/eye recognition features. So really down to, do I want to keep to the same systems, and know that I can run all my current lenses on the new camera without issues. Run 2 systems with the knowledge that yes I can use existing Lenses, but might be some limitations using them. Or do I jump ship completely at a later point. Another consideration, is that native lenses for both are expensive, but the Sony is cheaper, at present more available if I decided to make the jump. Try them out for yourself. Have a good long play. 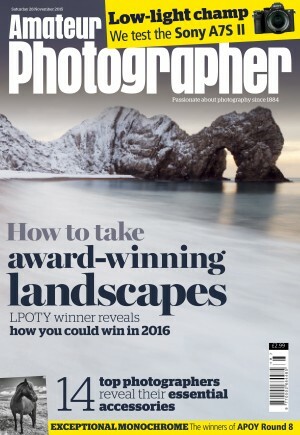 If you've got the chance to get to The Photography Show at the NEC starting on Saturday, it's a great place to have a decent try-out, and there will also probably be show deals. Personally, I find the Sony's viewfinder unusable, but that's down to a medical condition, so unlikely to apply to all that many others. It's otherwise a decent camera, with a still-horrible menu system, and handling I don't find I'm comfortable with after 25 years of using Canons, but you may feel differently. As to adaptors, the Canon to Sony ones aren't supported by either manufacturer, so there are plenty of tales of compatibility issues with certain lenses on the web. Worth Googling your lenses and the adaptor to check. Obviously not an issue with Canon on Canon on Canon (Lens/Adaptor/Body), but there ARE tales of some issues with Sigma Art lenses on both bodies. Again, Google is your friend. But ultimately, buy which one feels the best to you - you'll take more, and better, pictures with a camera you enjoy using, and only you can decide which one that is. I've had access to the Sony A7, to hold I found it fine, heavier than most mirrorless but still lighter than my 5Ds combo. As to the menu, yep a friend does curse it somewhat, as two tabs, one for camera functions and the other for video function, the latter is about 48 pages long, and from something like page 11 it's back to camera functions... And must admit I'm concerned about how easy or not it's actually is to navigate around it. I've never had IBIS on my camera's, so it would be nice in one way, but it's something I could live without if needs be. The other difference is, the Canon R only has one card slot, the Sony has 2, but realistically my 7d &5d both have 2, but I've only ever used one at a time, cards are pretty reliable now a days, and If I got the R, then if I'm doing something that It's essential to have a back up, then I just use the 5Ds. But yes, if I can make my mind up, then I'm hoping that I can land myself a decent deal at the photography show. FWIW, I was at a show at the end of January - they were doing deals on the R body-only at £1800, and I can't remember the price with the 24-105, but very decent. Both with the EF adaptor. Same prices this time and I would consider it. I gather the Sony 24-70 G Master is excellent. I can no longer afford to buy one, as I bought the lenses I really needed when I was better off, and that was next on the list. I do have the 28-70 non-G lens, and its nothing special. My Zeiss Batis lenses on the other hand, are beautiful. Sony's menu system will take a little learning, but there are a lot of features to cover. I wish all manufacturers would offer the option on initial setup, to exclude things like scene modes, and film simulations which I will never use because I shoot RAW exclusively, partly because I often shoot in dreadful lighting conditions and RAW makes it easier to rescue those that were less than ideally exposed, and the venues often have dreadful lighting with varying colour temperature from room to room.